Please Note: ASCIP’s final application intake has closed. Ontario automotive manufacturers should explore the Ontario Automotive Modernization Program (OAMP) for funding support. The Automotive Supplier Competitiveness Improvement Program (ASCIP) is an Ontario government funding program that provides automotive manufacturers with grants for equipment and software upgrades. Targeted towards tier two and three automotive suppliers, it offsets a portion of costs related to improving product lifecycle management and creating new operational efficiencies. ASCIP funding provides companies with up to 50% of qualified costs to a maximum of $100,000 in Ontario automotive supplier grants. Eligible organizations must be a manufacturer with operations in Ontario and derive at least 50% of revenues from the automotive industry. Companies who have received ASCIP funding in the past are not eligible to participate in the program again. All applications must be received during one of the program’s intake periods. Program Overview: How Does ASCIP Support Projects? The Automotive Supplier Competitiveness Improvement Program (ASCIP) is an Ontario government grant administered through the Automotive Parts Manufacturer’s Association (APMA) and Ontario Centres of Excellence (OCE). It offers tier 1, tier 2, and tier 3 automotive suppliers funding to become more competitive through completing hardware and software projects, typically ERP and MRP system integration. ASCIP was created to make automotive suppliers more productive, competitive, and/or innovative. The Technology Adoption stream of ASCIP achieves this objective by encouraging automotive suppliers to adopt new software or hardware. Applicants must explain what hardware or software will make them more productive with key impact metrics related to these productivity improvements. For example, a business may need to adopt an Enterprise Resource Planning (ERP) system, which will require them to purchase the software license, utilize consultants and internal technical labour for implementation, and adopt new equipment to leverage its product scheduling and inventory management features. This will lead to a reduction in 1.5 full-time production employees’ labour, improve annual inventory turns, and reduce changeover times by 5%. Please Note: If you are using a third-party consultant, they must not be directly related to the applicant’s business or ownership. ASCIP’s Mentorship Pilot Program addresses automotive supplier competitiveness by matching applicants to industry experts who can provide their expertise and leadership. Mentors will be matched to applicants based on the company’s goals and project outcomes. Applicants must explain how guidance from industry experts will lead to efficiency and competitiveness improvements, such as the identification of production bottlenecks. To qualify for any ASCIP programs, businesses must ensure that their project budget does not include more than 25% for consulting fees, in addition to more than 25% to offset employee salaries. Generate a minimum 50% of revenue from the automotive sector. Companies that do not operate within or generate fewer than 50% of revenues from the automotive sector. Take advantage of new business opportunities. Projects that focus on improving operational efficiency and competitiveness exclusively through employee training programs is not eligible. For training support, consider using the Canada-Ontario Job Grant (COJG). Meals and incidentals, such as entertainment expenses. To apply for ASCIP funding, companies must contact Automotive Parts Manufacturers’ Association (APMA) and discuss the upcoming project. If it’s a good fit for the program, businesses must then develop a comprehensive application package that reviews the project, including expenses and outcomes. Applications are collected via OCE’s online portal and reviewed shortly thereafter. Companies with successful applications will be notified when they have been approved, at which time funding-eligible expenses can be incurred. 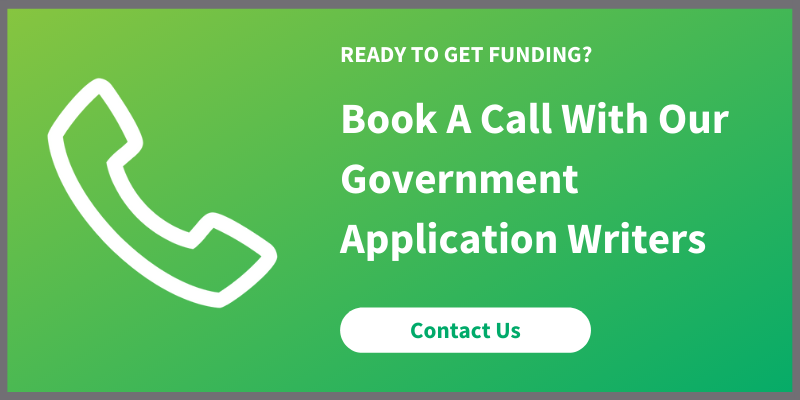 <$50,000 Funding Ask: One-step review and approval process that features a three-person panel that makes the decision on the Ontario government funding awarded. ≥$50,000 Funding Ask: In addition to the three-person review panel, applicants will be asked to conduct an in-person presentation to a larger review board, including clarification questions. Considering how ASCIP can support your upcoming project? Contact Mentor Works to evaluate whether your project is a good fit. Our team can help you align your upcoming project for ASCIP funding and streamline the application process with time-saving info collection documents and a dedicated team of writers. Posted: September 21, 2016. Updated: March 11, 2019.